With the pilot compost program in full swing in the Hilgard Apartments, the graduate housing team is looking to assess the impact of their new program. With this goal in mind, the team is looking to conduct a second waste audit in the near future to determine how much organic waste their composting program is diverting from landfill. Without sufficient funding for an audit done by a waste collection company, the graduate housing team will be separating out waste on their own once again, and looking for volunteers to aid in their exciting and aromatic endeavor. The team is taking the lessons they learned from conducting their first waste audit and are acquiring necessary materials, such as a more accurate scale, to ensure that this waste audit runs as smoothly as possible. 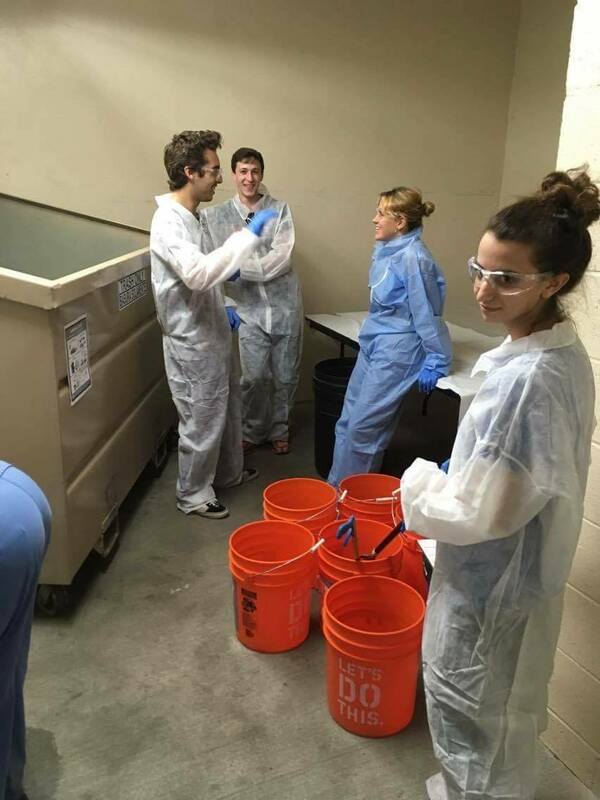 This is the second of their three planned audits, and the graduate housing team is planning on applying for funding from The Green Initiative Fund at UCLA for a formal waste audit done by Athens Services, the waste collection company for UCLA. This final waste audit is slated to take place at the end of their project to gauge the impact that their pilot compost program had on waste diversion from landfill. In addition, the graduate housing team is working on analyzing the data from their first waste audit and creating educational and informative graphics to explain their findings. To gather more feedback from the community, the graduate housing team will also be attending a barbecue hosted for residents of the Hilgard apartments to get input on their pilot composting program. The graduate housing team has been working at a breakneck pace in recent weeks to ensure that they complete all of their lofty goals!